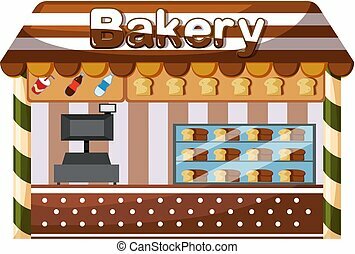 A bakery shop. 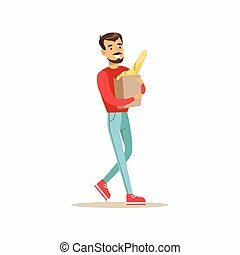 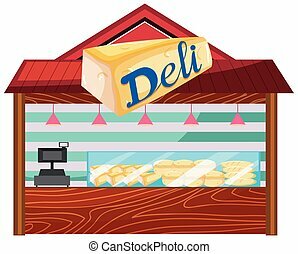 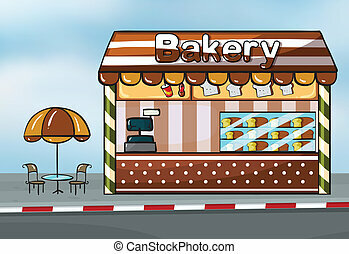 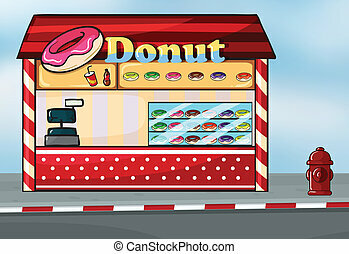 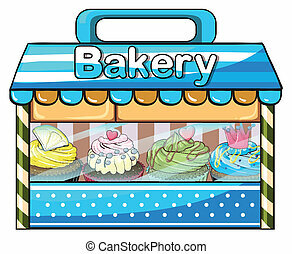 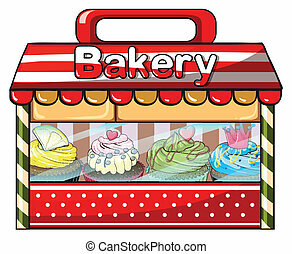 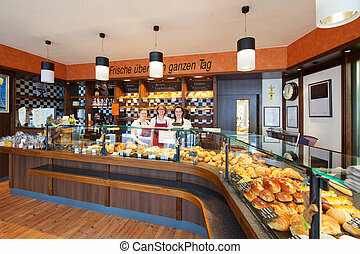 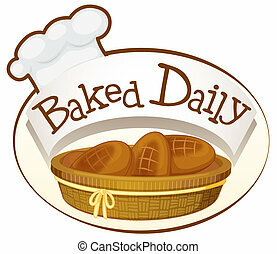 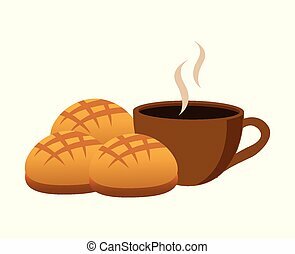 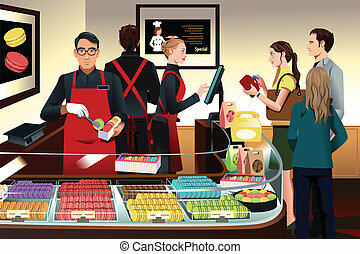 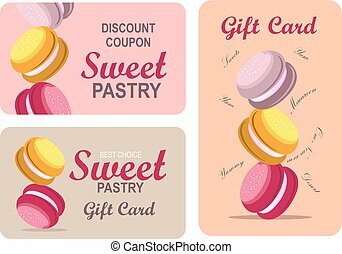 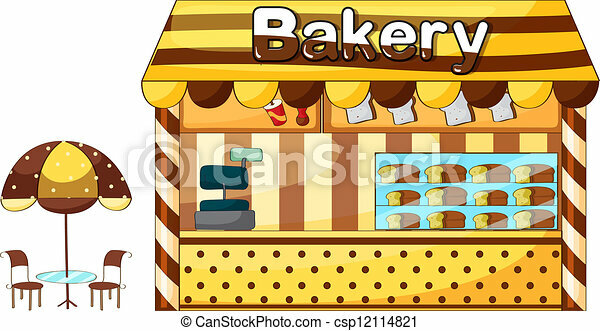 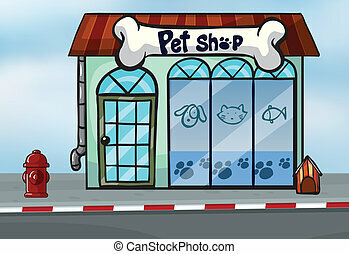 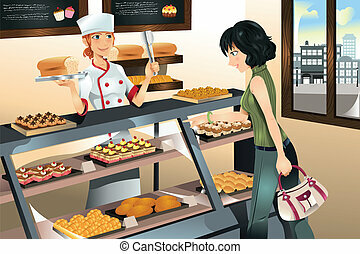 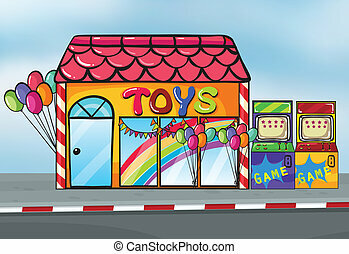 Illustration of a bakery shop on a white background. 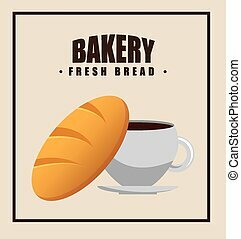 Vector vintage bakery symbols collection. 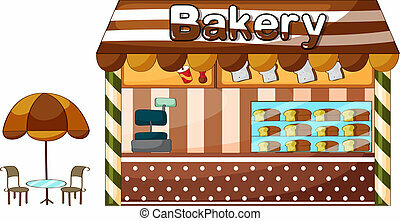 Hand drawn elements for a bakery shop decoration. 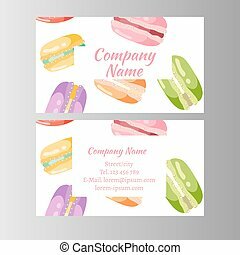 Rough graphics with simple details. 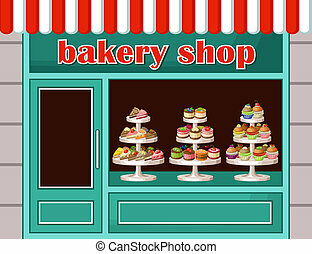 Facade of a bakery shop. 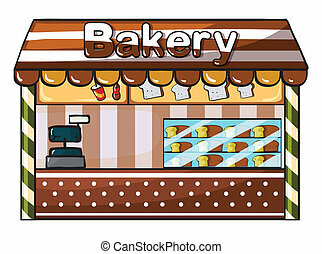 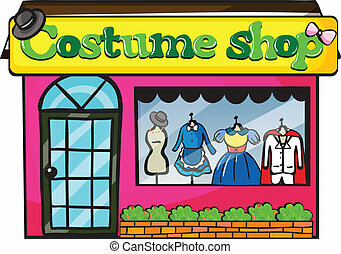 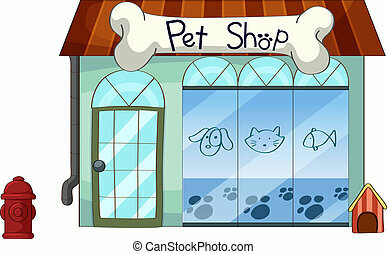 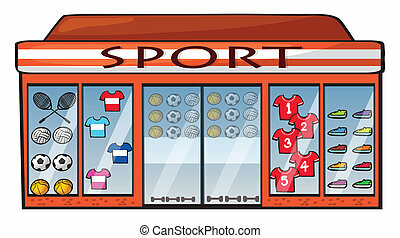 Storefronts and showcases. 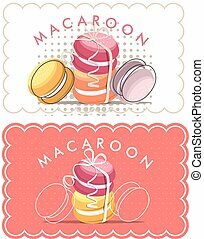 Vector icon flat thin line style. 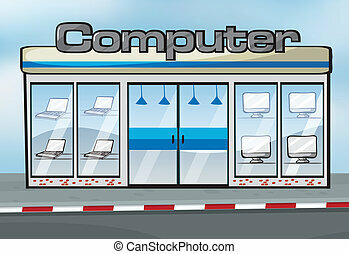 Element for web design, business, mobile app.